I adore Autumn. I particularly love autumnal colours; the browns, wine and berry reds and forest greens. All of my favourite colours are autumnal shades and therefore I’d love to share some autumn picks with you all. I’m doing 4 edits: Makeup, Skincare, Clothing and Nails. Throughout this season I’ll share all four categories with you, I’m undecided as to whether to do this for every season, however, I’ll definitely be doing a Skincare Edit every season as I am a bit of a skincare junkie! 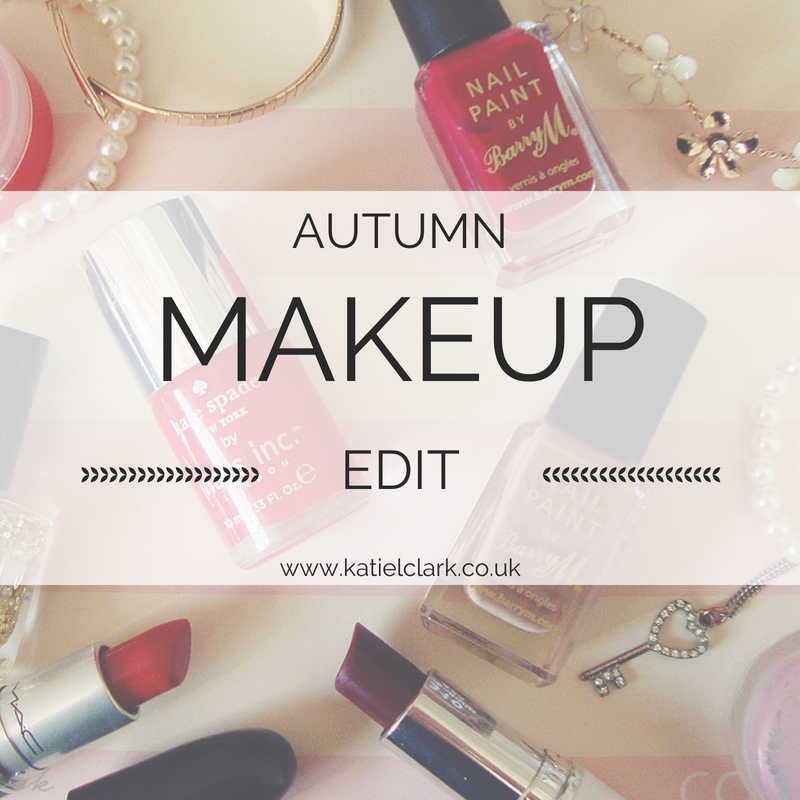 Without a doubt, my favourite part of autumn makeup is the red. My favourite red is actually a colour from last year, MUA’s Matte Lipstick in Wild Berry is a wonderful deep plum red-purple. The bullet has a rather intimidating colour however it actually applies really sheer in comparison to the first impression. I find it genuinely wearable and it smells lovely. MUA lipsticks are only £1 each and therefore are an amazing everyday option to throw in your bag…and eventually find it later! I’ve also been loving Scarlet Siren, another MUA Matte, which is an intense bright Hollywood red. It is definitely not one of my daytime colours. It’s beautiful but definitely to be used with a subtle outfit otherwise I do feel like it’s very easy to go over the top with this colour. Finally, I’ve been loving MAC’s Lady Bug. It’s currently my only MAC lipstick and it my perfect… My lips but… Redder shade? It’s great for those statement lip days when you’d love the lips to be the focal point of your outfit. As an interesting change of colour, my transitional shade for the season is the Revlon Just Bitten Kissable Lip Balm Stain in Rendezvous (is the name long enough??) It’s a beautiful orange colour and as the name suggests, it’s a balm/stain combo and is great to apply without a mirror because it’s so light and easy. 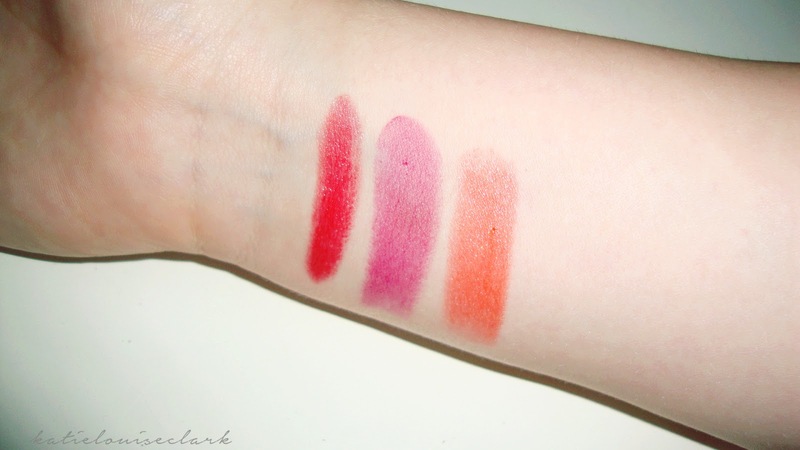 I love to layer all three of these lipsticks over the Tony Moly Tony Tint, then even if it rubs off there’s still a colour on my lip! 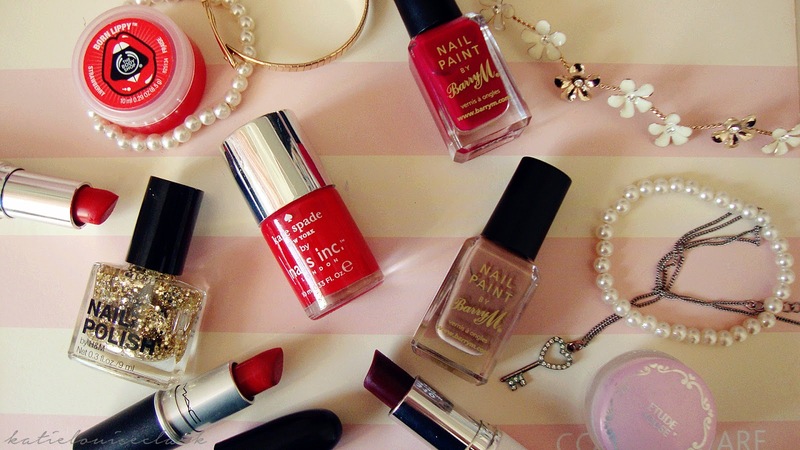 Over the top, I love to stick on a red-tinted lip balm just to add to the colour. My favourite at the moment if the strawberry scented lip balm from The Body Shop. I do realise there are an awful lot of lip products here and not much else… I’ve actually been skipping out on eye makeup quite often! Sometimes I’ve been just curling my lashes and nothing else. I rub my eyes often when I’m tired and being back at university is definitely tiring so I’ve been trying to avoid the “Oops, I rubbed my eyes with makeup on” panda-eye look! What are your top three makeup products for this season?